Note: I like to plan to start my Instant Pot clotted cream in the morning, when I wake up. That way I can put it in the refrigerator before I go to bed and wake up to a finished product! Pour the cream directly into the Instant Pot. Close the lid (no need to set the vent, we're not pressure cooking.) Press the YOGURT button and press until it says BOIL. When the machine beeps, and has reached the boil stage, press the KEEP WARM button and let it go for 8-10 hours. I let mine go for 10 hours. Turn the machine off and remove the pot. Let cool at room temperature without disturbing. Then refrigerate the pot, as is, for 12 hours. Carefully scoop off the thickened layer of clotted cream, leaving the thin liquid behind. It's ok if you get some of the thinner liquid into your clotted cream, you can mix it in. Spoon your cream into a glass jar. You can leave as is, or stir it together to make it creamier. 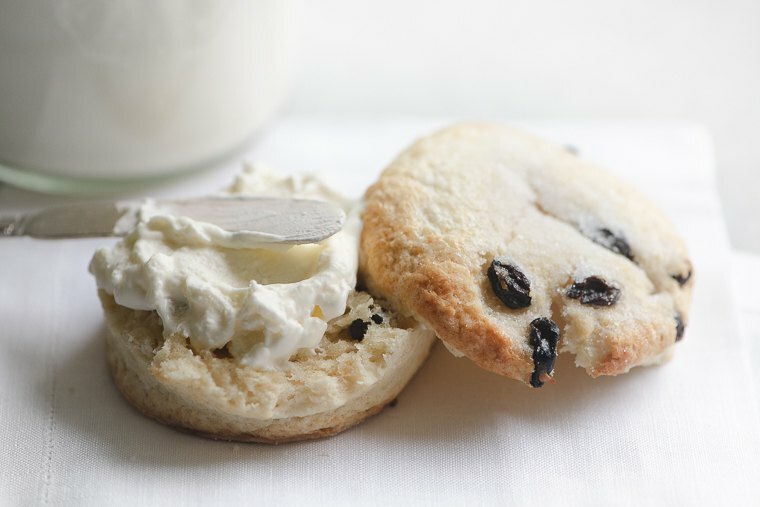 The leftover liquid can be used to make scones.